Orlando Dinner Shows in The Orlando Florida Area are action packed, and musical adventures that includes spectacular stunts, dazzling special effects, enchanting singing and amazing aerial acts. When in the Central Florida Area be sure to check one out. Orlando Dinner Shows are fun for the whole family. Orlando Florida Dinner Show Discount Tickets are discounted for one simple reason - we buy in bulk. We can buy tickets cheaper so we can sell tickets cheaper. You pay a discounted price and we delivery the discount tickets to you. Find the Lowest Rates on Orlando Car Rentals. Take advantage of contracted rates and save on your next rental car reservation in Orlando! Find the Lowest Rates on Orlando Hotels. Reservations and resort information for accommodations in Orlando - on or off Disney property. Orlando Dinner Shows are fun for the whole family we have the best Orlando Dinner Show Tickets at Discount Prices. Orlando Dinner Show in Orlando Florida is an action packed, musical adventure that includes spectacular stunts, dazzling special effects, enchanting singing and amazing aerial acts... aboard an actual pirate ship floating in a 300,000 gallon lagoon. This family entertainment is a multi-million dollar spectacle. Located just minutes from Universal Studios. It's prohibition era of the 1930's and notorious criminals are running the streets. But tonight, your Capone's invited guest at his upscale speakeasy. By the way, the infamous Bugs Moran is about to make a move on Capone's turf. Beware things could heat up tonight in Chicago. An adventure unlike anything you have ever experienced before or will ever experience again. 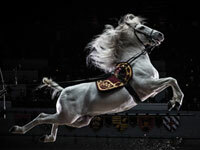 During each live performance, guests of our castle enjoy an authentic medieval feast while valiant knights on horseback do battle to the death. Providing an exciting and intellectually stimulating form of entertainment In Orlando, Florida. An evening at Sleuth's begins with you being treated as a guest at a celebration such as a wedding or class reunion depending on which of our 8 plays you attend. Over hors d'oeuvres, salad, and drinks you will begin to get acquainted with the characters of the show. 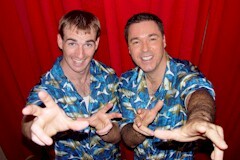 Provides a one-of-a-kind entertainment experience to the Orlando area with non-stop audience participation. Shows are presented nightly at 6:00pm and 8:00pm. Orlando Dinner Show Discount Tickets. 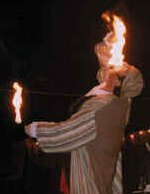 There are many to choose from such as Arabian Nights Dinner Show, Pirate's Dinner Adventure, Medieval Times Dinner and Tournament, Sleuth's Mystery Dinner Show, all in the Orlando Florida Area. Check out our Orlando Transportation Suggestion. Visit our Orlando Airport Information site. Orlando Dinner Show Tickets at great prices.